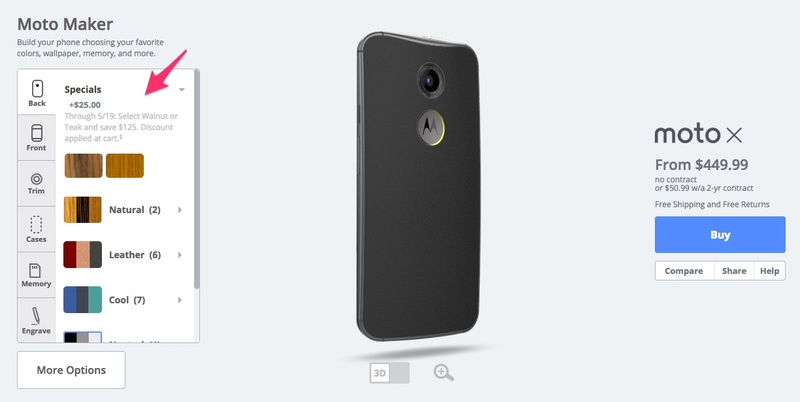 If you missed out on Motorola’s $225-off Moto X deal, they have another ready for you. It’s not as deep of a discount, but it does include $125-off and an upgrade to either the Walnut or Teak natural backs. So should you jump on this deal, which runs until May 19, you are looking at $399 for the Moto X “Pure Edition” in Walnut or Teak with 16GB of storage. Sony Xperia Z4 and LG G Pad X Coming to Verizon?